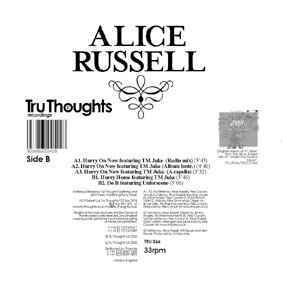 Original version of A1 taken from the Alice Russell album "Under The Munka Moon" TRULP046 / TRUCD 046. ℗ & © Tru Thoughts Ltd 2005. All tracks published by Full Thought Publishing & Skint Music Publishing / Sony Music.